Delicata is having a moment at the moment. I read that delicata is referred to as a novelty squash, and it’s appearance does strike one as ornamental and dainty, doesn’t it? My fave thing about this pretty squash, though, is No Need To Peel! Tediousness is man-handling the tougher, more robust squashes like kabocha and butternut. Ugh. Some days you just don’t want to stand over those bigger gourds, fighting to rid them of their harder-to-digest skins. 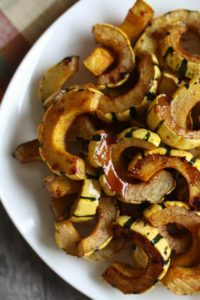 So this recipe for Maple-Glazed Delicata Squash allows you the convenience of a quick slice, seed, and chop, followed by glazing with warm flavours that complement the delicata’s creamy texture. Yum! 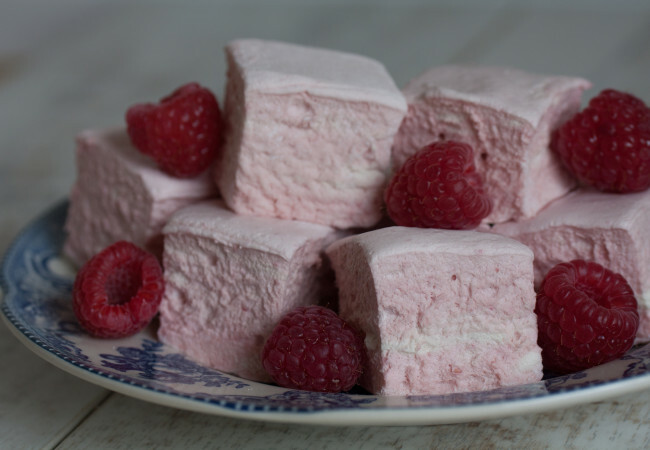 This recipe will make for a positively lovely and festive side at your Thanksgiving Dinner. In a large bowl, whisk the olive oil, maple syrup, cinnamon, ground ginger, and sea salt. Set aside. 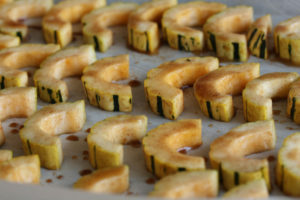 Cut off the ends of each squash and then cut in half length-wise. Scoop out the seeds and fibers (no need to peel the edible skin -- yaaay!). Slice into ½-inch half-moon shapes. 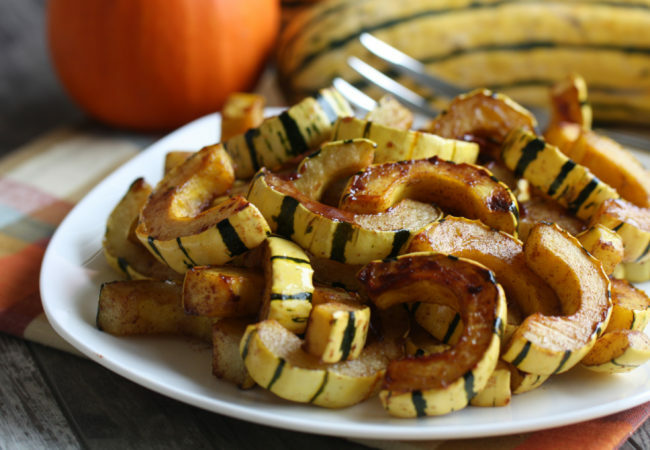 Place the squash in a bowl with the glaze and gently toss to coat. 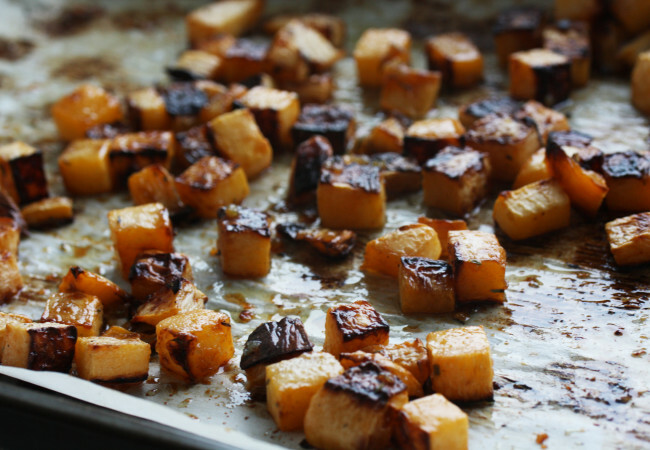 Spread out squash on a prepared baking sheet in a single layer. Drizzle any glaze remaining in the bowl over the squash. Place in the oven and bake for 15 minutes. Remove from the oven and using a spatula, carefully turn each piece. Return to oven and continue to bake for another 10-12 minutes. Remove from the oven and transfer to serving platter.